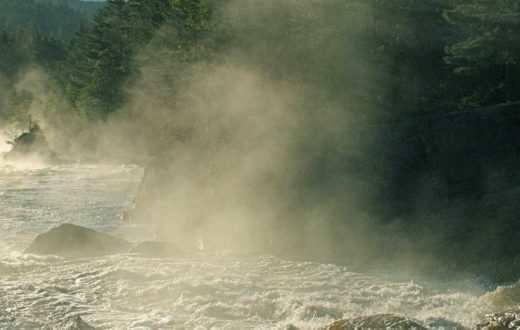 On that humid morning on July 1,1999, we knew we were at a turning point for Maine’s Kennebec River. 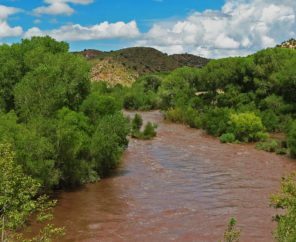 What we didn’t realize was that we were at a turning point for the conservation movement and rivers nationwide. TV trucks arrived early at the riverfront in Augusta. Boy Scouts sold donuts, and others gave out commemorative t-shirts. The whole community had turned out to witness this historic event: the removal of Edwards Dam. Twenty years ago, most lawmakers and conservationists viewed removing dams as a radical, pie-in-the-sky idea. But Edwards proved that dam removal is a viable, cost-effective solution — one that can bring significant benefits to the environment, community and economy. Edwards Dam had blocked the Kennebec River for 162 years. 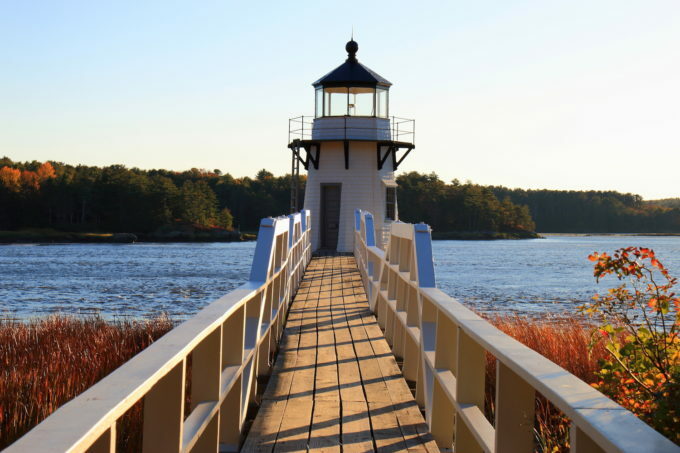 It had powered local industry since the days of Hawthorne and Thoreau and was part of Augusta’s history and identity. But it had also taken a serious toll on the health of the river and its fisheries. It changed the very character of the river by degrading habitat and blocking the migration of a number of species — including Atlantic salmon, American shad, blueback herring and alewife — important to commercial and recreational fishermen. Edwards Dam provided only one-tenth of 1 percent of Maine’s power supply. It was clear the dam’s costs outweighed its benefits. 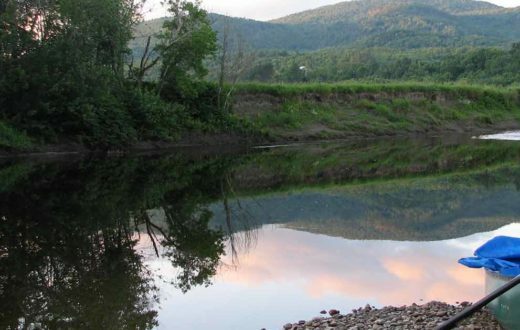 Now the dam was coming down, thanks to years of work by American Rivers, the Natural Resources Council of Maine, the Atlantic Salmon Federation and Trout Unlimited and its Kennebec Valley Chapter. Together, we had intervened in the dam’s relicensing process and advocated for removal. The Federal Energy Regulatory Commission ruled in our favor in 1997. After a series of speeches, Secretary of the Interior Bruce Babbitt and Gov. Angus King rang a bell next to the podium. Then the bells at St. Augustine’s church started tolling. Bells ring at symbolic moments: births, weddings, funerals. Now, the bells were ringing for the river. The backhoe began to work. We strained to see across the river; some stood on metal folding chairs. We watched as the yellow machine’s big metal claw slowly dug away at the temporary dirt cofferdam. We watched and waited. This was before cell phones and social media. Time stood still. We stood shoulder to shoulder, all eyes on the backhoe, suspended in this moment together. And then, finally, a big muddy gush of water broke through the dam and the crowd erupted in cheers. 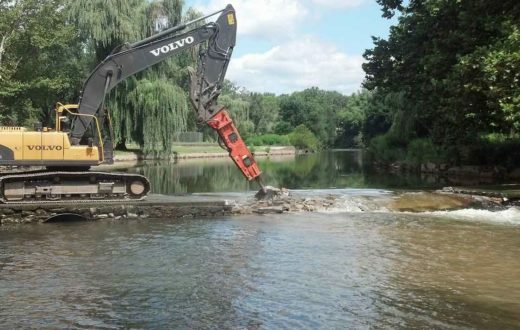 The river was running free for the first time in 162 years. Since that day in Augusta, American Rivers has championed hundreds of dam removals. We’ve celebrated some amazing river restoration successes: The Elwha. The White Salmon. The Penobscot. Most recently we celebrated the blast at Bloede Dam, freeing Maryland’s Patapsco River. Together with our supporters and partners, we’ve created a river renaissance – a revival of fish and wildlife, free-flowing waters and new opportunities for people to enjoy and connect with their rivers. We’re the lead on many projects, and we also share our experience and expertise with other advocates so they can advance dam removal efforts in their own communities. We provide technical and funding assistance, conduct trainings for new project managers, and share information to strengthen and advance the movement. And the movement is going strong: More and more outdated dams are coming down every year: 2017 was a record year for dam removal with 86 dams torn down nationwide. All told, our dam removal database includes information on 1,492 dams that have been removed across the country since 1912. Most of those dams (1,275) were removed in the past 30 years. 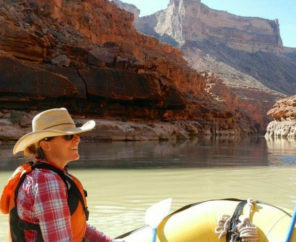 As American Rivers celebrates the 20th anniversary of the Edwards Dam removal, we’re recommitting ourselves to thinking big, and to making our national river restoration movement even stronger and more effective. Because, let’s face it, there are still tens of thousands of aging dams serving no purpose yet still clogging our nation’s rivers. There’s something powerful about imagining a better future for your river, and working with your neighbors to make it happen. There’s something inspiring about watching that first rush of water when a dam is breached. There’s something transformational about a community embracing their river’s restoration story as their own. Dam removal is about unleashing potential. It’s about tapping into the power of a free-flowing river. Edwards Dam was just the beginning. Will your river be next?